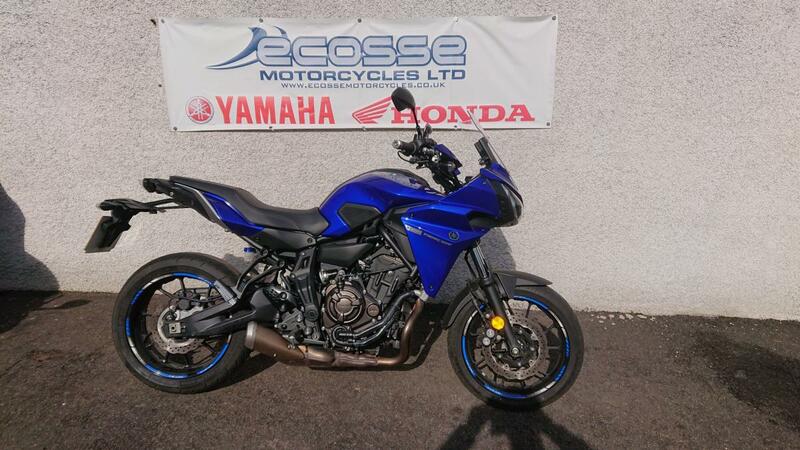 THIS 2017 TRACER 700 HAS ONLY COVERED JUST OVERED 4000 MILES SINCE NEW. FITTED WITH OXFORD HEATED GRIPS , IT WILL BE SUPPLIED WITH A FULL SERVICE. COVERED BY YAMAHA WARRANTY UNTIL AUGUST 2019. IN GREAT CONDITION , THIS MODEL IS RECOGNISED AS ONE OF THE BEST MIDDLEWEIGHT BIKES MONEY CAN BUY.